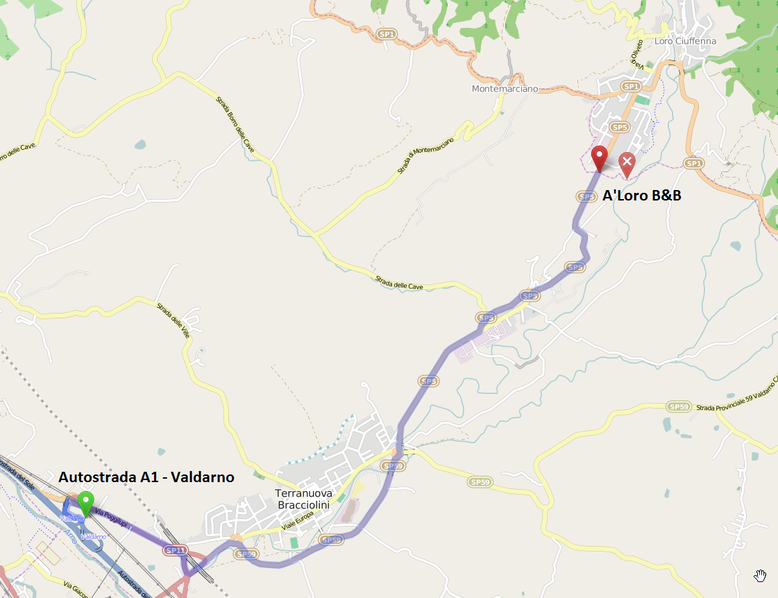 The Bed and Breakfast A'Loro is in the municipal territory of Terranuova Bracciolini (5 km), but really near to the village of Loro Ciuffenna (2 km). To reach us is therefore appropriate to follow the signs to Loro Ciuffenna. Leaving the Valdarno exit of the A1 motorway have to keep left direction Terranuova Bracciolini / Loro Ciuffenna. Continue for about 1 km and you will enter in a first roundabout, take the second exit and continue for about 500 mt. 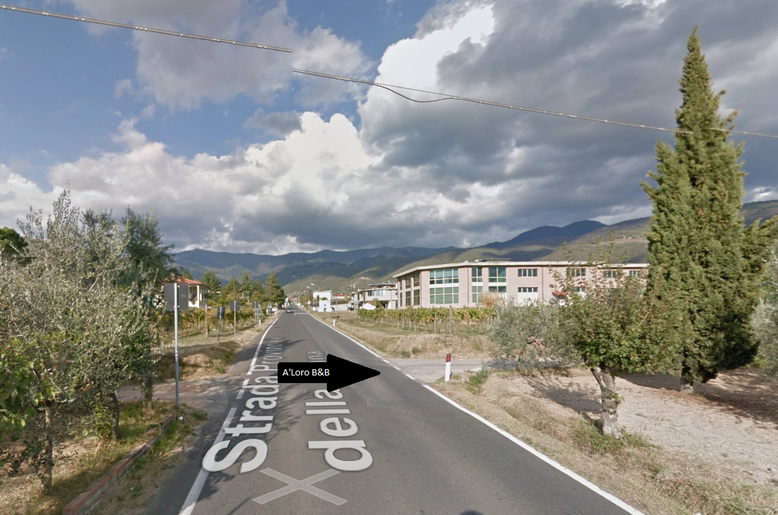 You will find at the begin of the town of Terranuova Bracciolini a second roundabout. Here you have to take the first exit. Continue on the ring road of Terranuova for about 1.5 km to get on to a third roundabout. Here you have to take the second exit direction Loro Ciuffenna. Continue for 2 km to get on to a fourth roundabout at the town of Penna. Take the second exit and continue for about 500 mt. You will find the fifth and final roundabout. Exit on to the second street to Loro Ciuffenna immediately onto an uphill road. Continue for 1 km. At the end of the ascent you will find in a long straight. Continue for 1 km, taking care, next to the sign of Loro Ciuffenna, on the entrance road to the Bed and Breakfast A'Loro on the right, the only white way is this. Continue on the dirt road for 300 meters until you will not find at the gate of the Bed and Breakfast. Welcome!